Tuesday 26 June marks the launch of Australia’s next phenomenal writing talent, Christian White. If you haven’t yet read The Nowhere Child email Affirm Press now for an advance reading copy. With rights sold to 15 countries, The Nowhere Child is set to follow in the footsteps of fellow winners of the Victorian Premier’s Literary Award for an Unpublished Manuscript, international chart-busters The Dry and The Rosie Project. 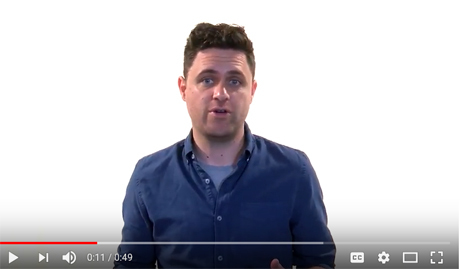 And to booksellers, from Christian and all of us at Affirm Press, thanks for your support! On a break between teaching photography classes in Melbourne, Kim Leamy is approached by a stranger investigating the disappearance of a little girl from her Kentucky home 28 years earlier. He believes Kim is that girl. At first she brushes it off, but when Kim scratches the surface of her family history in Australia, questions arise that aren’t easily answered. To find the truth, she must travel to Sammy’s home of Manson, Kentucky, and into a dark past. As the mystery of Sammy’s disappearance unravels and the town’s secrets are revealed, this superb novel builds towards a tense and electrifying climax. 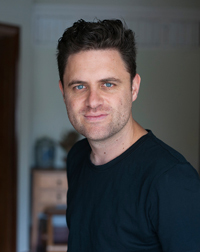 Christian White is an Australian author and screenwriter whose projects include the feature film Relic. The Nowhere Child is his first book. An early draft of this novel won the 2017 Victorian Premier’s Literary Award for an Unpublished Manuscript, and rights were quickly sold into 15 countries. Christian lives in Melbourne with his wife, filmmaker Summer DeRoche, and their adopted greyhound, Issy. Be one of the first to read The Nowhere Child. 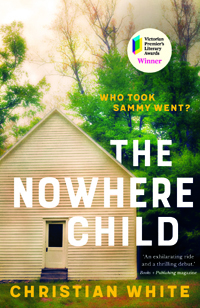 Email info@affirmpress.com.au with ‘The Nowhere Child giveaway’ in the subject line to request an advance reading copy.